I posted a few weeks back about the Memovox Deep Sea Tribute and today I picked it up. I still remember seeing one for the first time shortly after its debut, but it didn't register with me at the time. 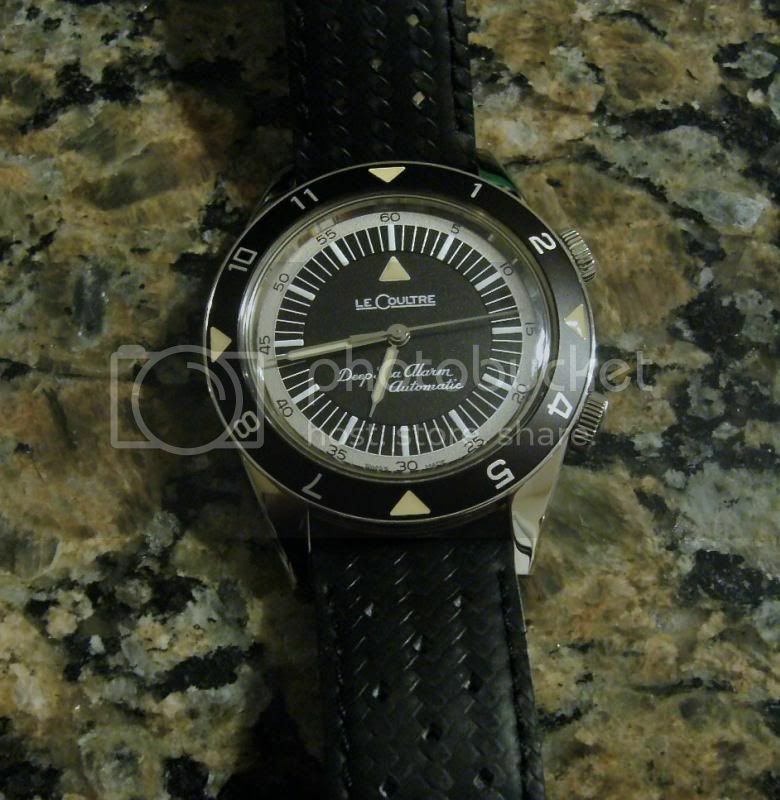 It was really a watch that grew on me the few times I would see one at my AD or in NY. Any outstanding concerns, like the Plexi crystal, were allayed with my last post. While not a great photo, the design really appeals to me. I am not sure about the strap yet (it's a bit long). I am thinking of replacing it with a black cordovan. Any other strap suggestions? I also placed an order in for an Ultra Thin Moon. It was the original reason visiting my AD a few weeks ago. Hopefully, the wait wont be too long.